The Notice of Race for the event is HERE and you can place entries online HERE. There is good local accommodation around Gosford and out to the coast at places like Terrigal and Avoca. Alternatively from Sydney you can drive in/drive out if you like to sleep at home. Go to your favourite accommodation site or click links below for places to stay. The new official Oceania and Australian Laser Nationals website. This website will be the home for all future Oceania and Australian Laser National Championships. All race documents, online entry, results, videos, race tracking etc will be available on this site before, during and after the event. This years event is sure to be a big one, being held at the beautiful RQYS in Manly QLD. Online entries are now open and PSA are taking charter bookings now. Jump over and like the facebook page and signup to their mailing list to keep up to date on all Nationals info. Look forward to seeing you there in December! On a windy final day at Kiel Week, Francesco Marrai charged past his rivals to clinch Laser gold by the smallest of margins on the final day of Kiel Week. Marrai’s fourth place in the Medal Race was sufficient to put him on equal points with Karl Martin Rammo, but it was the Italian’s better placing in the Medal Race that clinched victory ahead of the Estonian who had to settle for silver. Marrai was beside himself with excitement. “To come into the race not wearing a bib [for one of the top three places] and to win here in Kiel Week is a dream come true. 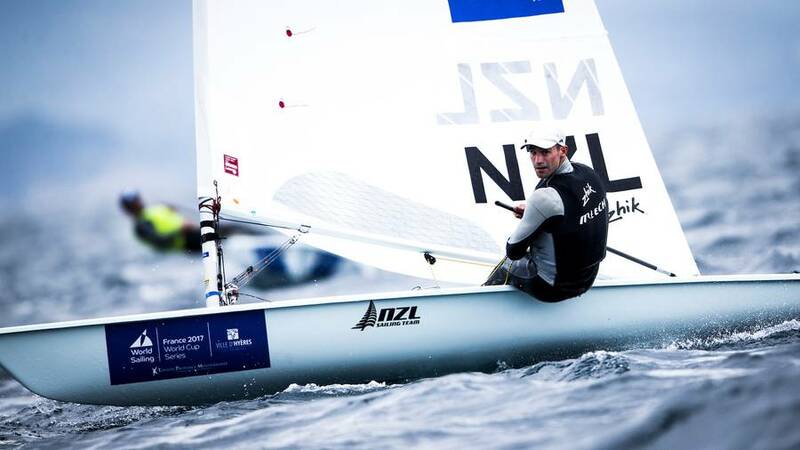 I remember watching Philipp Buhl win so easily here before, he is the master of Kiel, and I said to myself, one day I want to win like him, and here I am!” Buhl was hoping for another medal this week, and gold was well within his grasp. But after finishing last in the Medal Race the German fell to sixth overall, so close were the points in this 132-boat fleet. In the Laser Radial, Silvia Zennaro of Italy dominated the week to win gold for Italy. The bigger battle was for silver and bronze between two Turkish team mates. Ecem Guzel won the Medal Race which was sufficient to give her silver, four points ahead of Nazli Donertas.